The purpose of HILT’s Talk Story on the Land program is to give the public the opportunity to get out and walk on the land we work to protect, and learn about those lands and our work, so people can better connect with nature and the work of HILT statewide. Every hike is free and open to the public. However, the special moonlight hikes have a suggested donation of $25 to offset the cost of the pūpū and refreshments provided. For those that provide the suggested donation they will receive a one-year HILT membership with associated benefits (HILT newsletters, HILT window cling, etc.). This educational program reflects our belief that experiential education is the most powerful form of environmental education. Direct experience with the land develops love for the land, and love is the basis of good stewardship. This program will help develop more support for HILT’s time-sensitive land conservation work and protecting nature in general. The 2014 Talk Story on the Land series consists of 16 hikes across O‘ahu, Maui, Hawai‘i and Kaua‘i. It includes hikes at HILT’s Nu‘u Refuge on Maui, the Honolulu Coffee Company Farm on Hawai‘i, Coco Palms on Kaua‘i, Pūpūkea Ranch on O‘ahu and many other properties, some of which are not typically open to the public. For the complete listing, click here. The schedule includes information on how to sign up for a particular hike. Space is limited, and many hikes are already full or near capacity, so sign up quickly! If you cannot get on one of our hikes this year, stay tuned for the 2015 Talk Story on the Land Hike Schedule which will be released early next year as this will be an ongoing annual program. Your support is clearly helping us grow and accomplish extraordinary things for the lasting benefit of Hawai‘i and all who love it. View the full Spring 2014 Newsletter. Maunawila Heiau - HILT's 1st Public Preserve on O‘ahu After years of work, HILT plans to complete its acquisition of the 9-acre Maunawila property near Hau‘ula town on O‘ahu from the McGregor family in the next few weeks. This property will become HILT's first public preserve on O‘ahu. Ka ‘Āina Ulumāhiehie: Major Annual Gifts Program Be a part of Ka ‘Āina Ulumāhiehie and make your contribution toward our ‘āina māhiehie, Hawai‘i's richly-adorned land. These Hawaiian concepts of the leaf bud, the unfolding of a new blossom, the beautiful sight of a fully bloomed lehua, and an exquisitely adorned and lushly vegetative ulula‘au of ‘ōhi‘a trees demonstrate how your leadership support of HILT helps us grow our land conservation mission. He kuleana nō ia. HILT Executive Director, Ted Clement, discusses conservation values, the need for conservation in Hawai‘i, and new programs for O‘ahu. HILT's 1st Public Preserve on O‘ahu is expected to close in the next few weeks, HILT welcomes Tina Aiu, O‘ahu Island Director, the new Talk Story on the Land series is launched, Ka ‘Āina Ulumāhiehie: HILT's major annual gifts program is presented, and the 2013 Annual Giving Report is provided. Between meals Hawaiians would hang their calabash, full with poi and other foods, in an intricately made hanging net. They depended on these two items, the net and calabash, to keep their stores of food and water safe and unspoiled. ‘Umeke Kā‘eo, literally a well-stocked calabash, represents bounty and sustenance, not only for the physical body, but also for the mind and spirit. If the bowl is full, we are nourished. 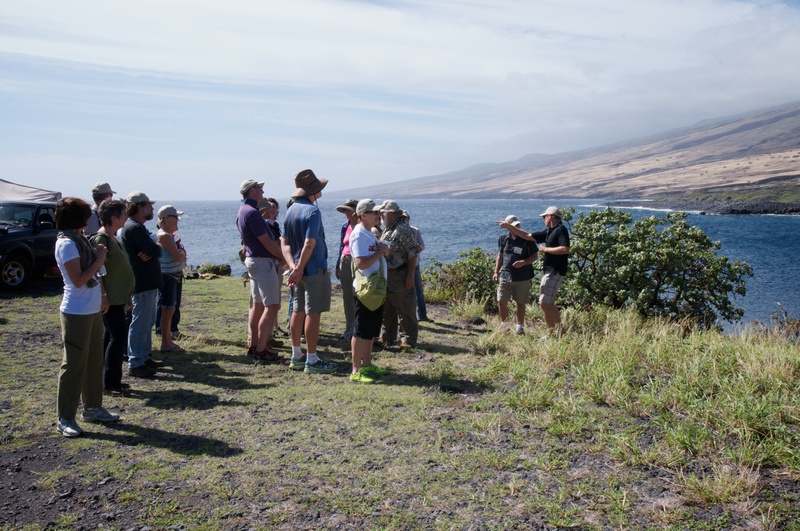 Hawaiian Islands Land Trust is committed to land conservation in Hawai‘i. Protecting the land that sustain us—there’s food for thought. Our Mission: To protect the lands that sustain us for current and future generations. Newer PostMahalo For Your Support of E Mālama ‘Āina Kākou: Party For the Land! Older PostHappy Earth Day News From Hawaiian Islands Land Trust!